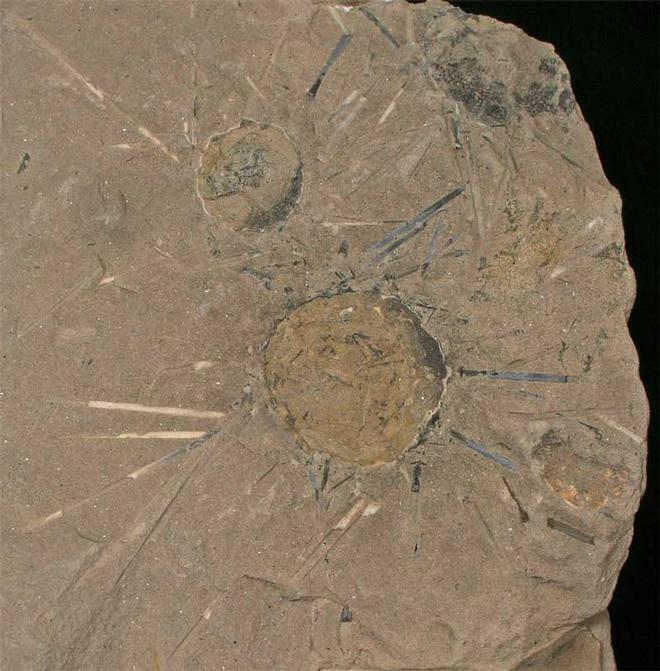 Regular echinoids are very sought after throughout the world, especially when the spines are preserved as is the case with this specimen. 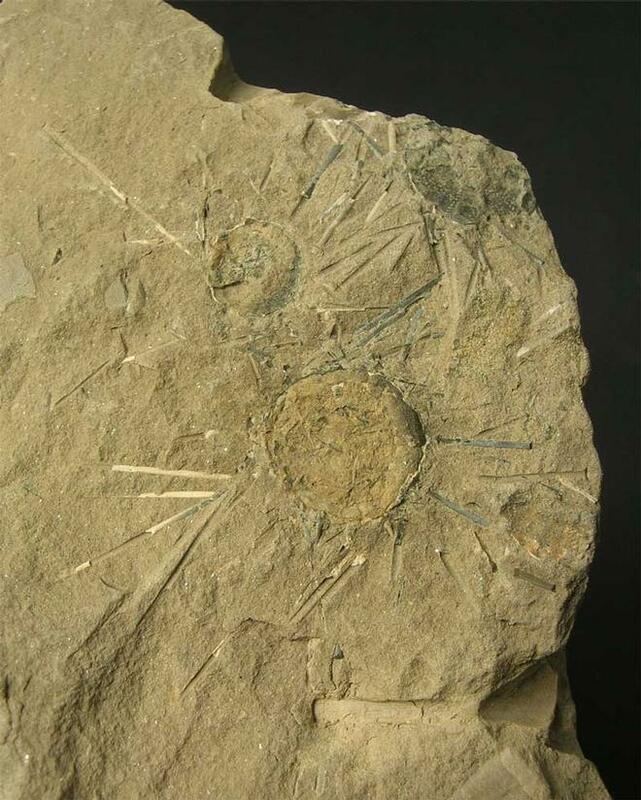 The specimen consists of 3 echinoids showing spines and on the reverse there is also another well preserved example. 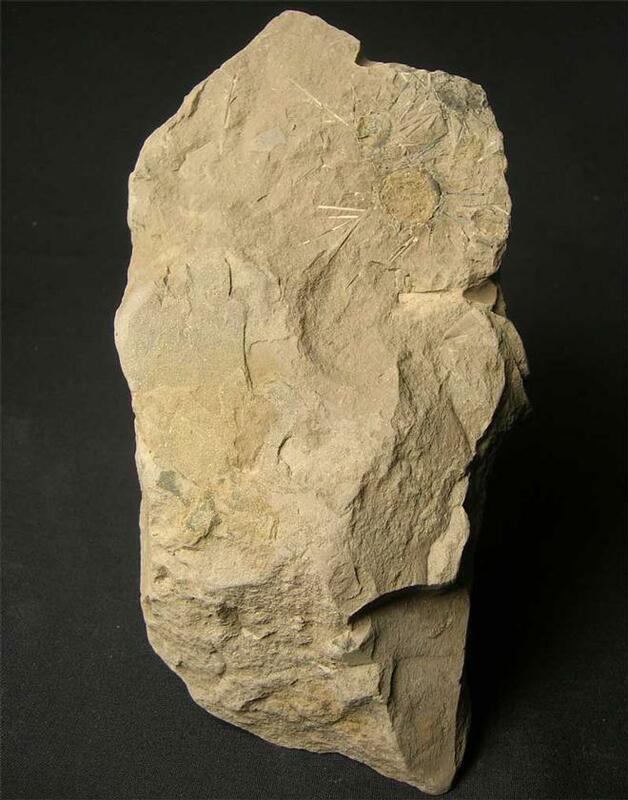 This is the only multi-specimen we have seen and is probably the finest known. 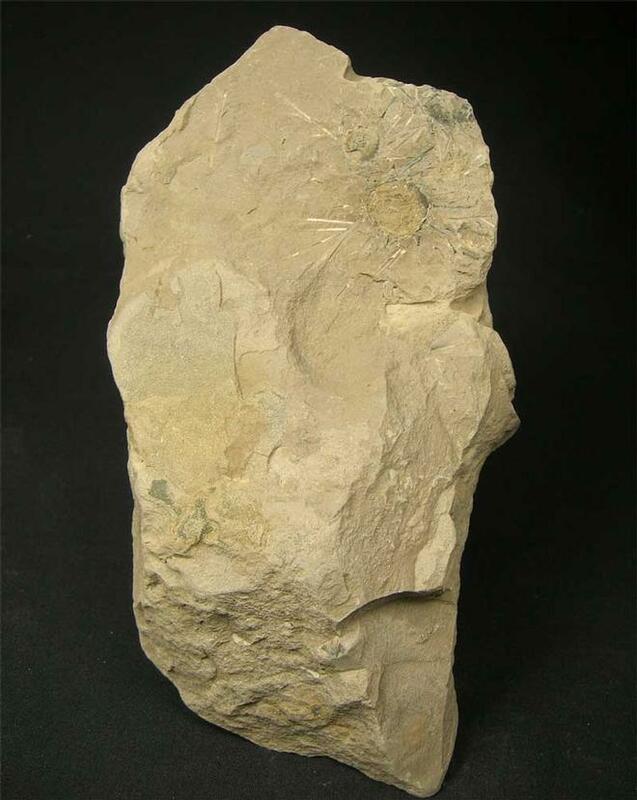 One for the serious collector of echinoids !